Starring Thomas Treviot, each novel in this thrilling new series of historical mysteries is based on a real unsolved Tudor crime. Before dawn on a misty November morning in 1536, prominent mercer Robert Packington was gunned down as he crossed Cheapside on his way to early morning mass. It was the first assassination by handgun in the history of the capital and subsequently shook the city to its core. The identity of his assassin has remained a mystery. Thomas Treviot is a young London goldsmith and a close family friend of Robert Packington. Through his own upstanding social connections - and some less upstanding acquaintances he has made along the way - Thomas launches a dramatic investigation into Packington's death. In the first of a new series investigating real unsolved Tudor crimes, D.K. 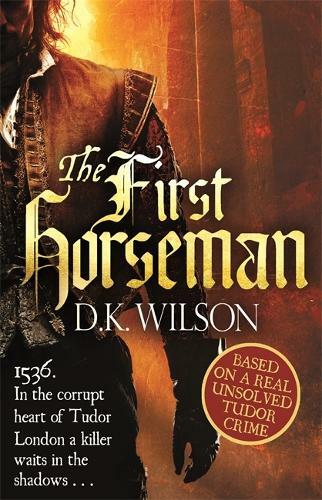 Wilson brings the streets of Tudor London to spectacular life as Thomas Treviot faces a fight to bring the truth to light in the corrupt world of Anne Boleyn, Thomas Cromwell and Henry VIII.